ZPS – FREZOVACI NASTROJE is one of the biggest European producers of HSS milling cutters. The production of cutting tools started in Bata shoe factory in 1930s. Since 1992 the joint-stock company ZPS – FREZOVACI NASTROJE exists as a part of ZPS group, since 2001, after being sold in a public tender, as an independent private company. HSS milling cutters production is highly export-oriented mainly in European countries. Most of our western Europe export activities are made under "private labels”. ZPS-FN brand is more popular especially in the Czech Republic and other eastern European countries like Hungary, Poland, Russia, where is our brand well known from the past. The production assortment includes full DIN range of HSS milling cutters. 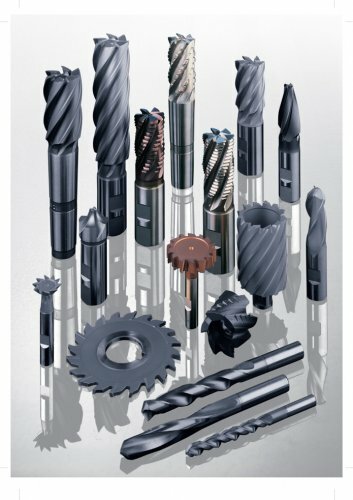 Our standard production offers especially end mills, form cutters, side and face cutters and shell end mills. Very important part of the production constitutes production of special tools.